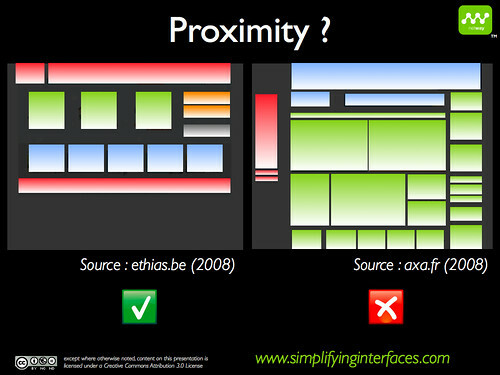 Let’s now discover the second of seven principles in all, and talk about proximity. The brain associates visual elements with each other when they are close to each other or when the space between them is equal. This Gestalt law is closely linked to peripheral vision. As the latter is fuzzy, two elements that are close to each other will not distinguish themselves in the Netway Neuro-Visual Landscape™. 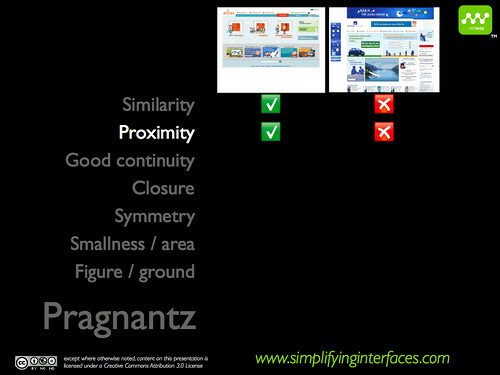 This Gestalt law, as all the others, allows us to build a strong Netway Neuro-Visual Landscape™. 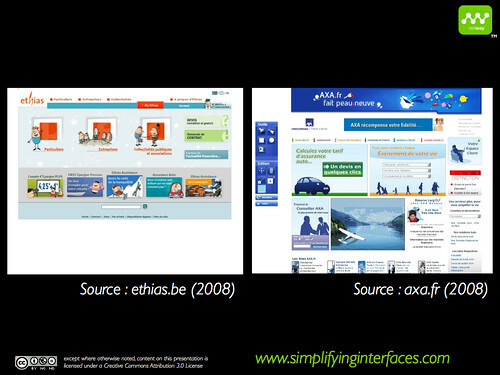 On the Ethias site, the spaces and the connection between the graphical objects have been studied in order to respect the principle of proximity, on top of the principle of similarity. The AXA screenshot, however, shows the space between the objects is very small and that all objects intermingle as to create 3 groups. With less graphical elements, the Ethias screen has more groups.